February 2016 was the first time I’d tasted this grape, having no idea what it was, or even how to pronounce it! I was in Vancouver at the Wine Festival, where Italy was a special guest and I was able to taste some wine from grapes I had previously never heard of. Fast forward two and a half years, with much study, learning and wine tastings, and I absolutely know what Pelaverga is! Let me introduce you! 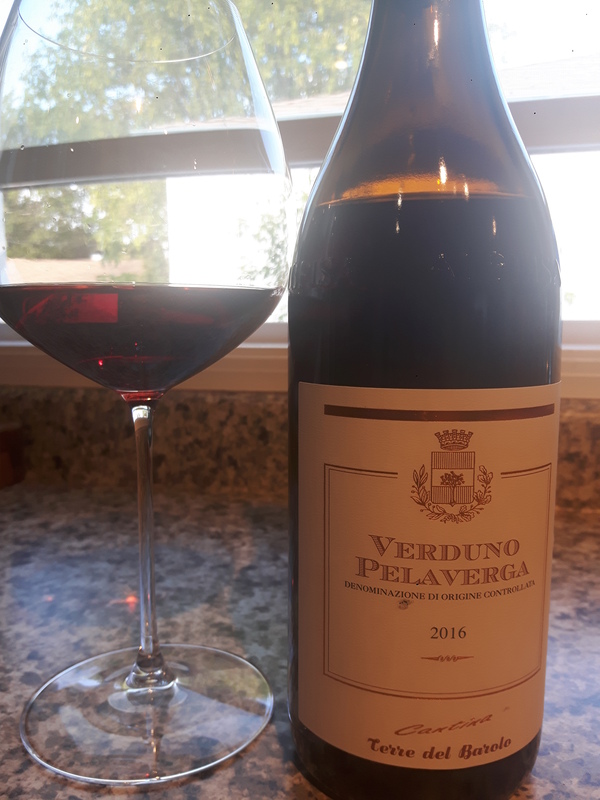 From Verduno in Piemonte, it’s not something we usually think when Piemonte is mentioned. As far as red grapes go, nebbiolo is king in Piemonte. Verduno is one of the 11 crus of Barolo, so clearly, it’s very important there. But ask a local what they might like to drink and their answer may surprise you: it’s pelaverga. In New York, it’s a trendy and popular grape and the wines are showing up on more than a few restaurant lists. Here in little ol’ Alberta, I was more than surprised to find it on one of the many import portfolios I deal with. Alberta is small beans. I mean REALLY small beans. If you consider New York, a city that has a population of 8.6 million (as of 2017) in 789 square kms and the most populous city in the United States, compared to Alberta, an entire province that has only 4 million people, in a surface area that is 662,000 square km (umm, that’s a lot of space!) that’s like a bajillion (emphasis mine) times bigger than NYC! The fact that we’re introducing pelaverga here is quite astonishing to say the least. Pale in colour due to its thin skins, the aromas jumped out of the glass with notes of rose, pepper, lavender, and even green cardamom. It also has naturally high acid with restrained tannins, it’s apparently the perfect match for any dish with mushrooms! With some chilling, it became even more lively on the nose. In my mind, definitely a patio wine, and with our beautiful summer temps we’re having lately, it would be perfect! At only $22 on the shelf, why not buy two? I love finding pretty little jewels, especially when it comes to native grapes of Italy! If you have a chance to try Pelaverga, don’t hesitate! Salute! This entry was posted in Varietals, wine and tagged Alberta, area, cru, import, Italy, monoply, native, Nebbiolo, new wine, New York, pelaverga, Piemonte, population, refreshing, store, summer, Verduno. Bookmark the permalink.